Putting Jesus at the center of our lives is a foundational principal of the Christian faith. This anthem confidently affirms the Lordship of Christ with an inspiring melody that builds steadily from beginning to end. Sections of unison writing for strength of sound are mixed with thicker, warm, harmonic moments creating an anthem that has much to enjoy musically. A fitting setting to a praise-worthy text! 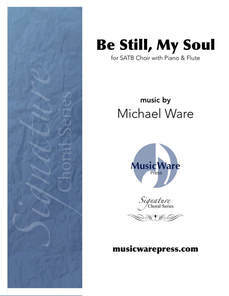 look inside Not I, But Christ Composed by Michael Ware. Shawnee Sacred. Ash Wednesday, General Worship, Lent. Octavo. 12 pages. Published by Shawnee Press (HL.35028602). Not I, but Christ is one selection in this book of anthems.